Everyone loves a good updo. 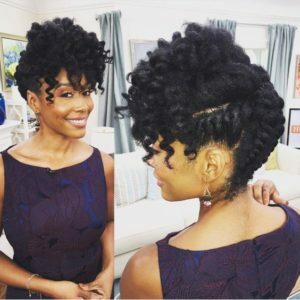 There are many different ways to style an updo on natural hair, making it the perfect hairstyle choice all year round. Updos are versatile, pretty, and usually very low maintenance. Formal updos are just the right style for special occasions: whether you’re going to the prom, a wedding, or a party. 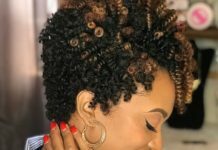 Updos can also be casual and playful: the perfect choice if you just want to switch up your look or if you have an active lifestyle and want a low maintenance hairstyle that will hold up for days on end. 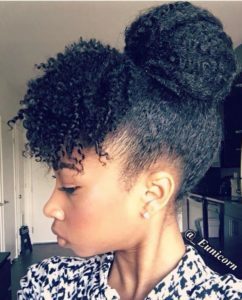 Here are 35 natural updo hairstyles for natural hair for any occasion. This gorgeous updo is created with angular cornrows up the sides of the head. 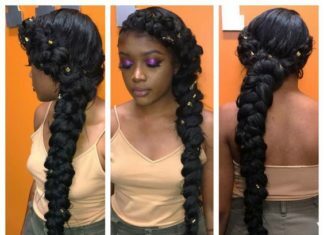 Thin two-strand twists are styled into a swoop bang in the front giving this style a unique finish. 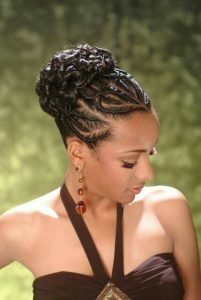 For this flat twist updo style, the hair is twisted into three flat twists going across the back of the head. 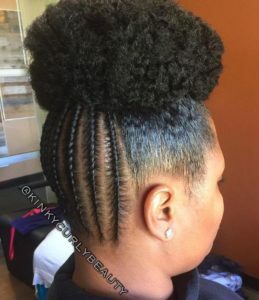 The hair in the front is also twisted and bobby pinned to the side to create a protective style that is as cute as it is easy to do. 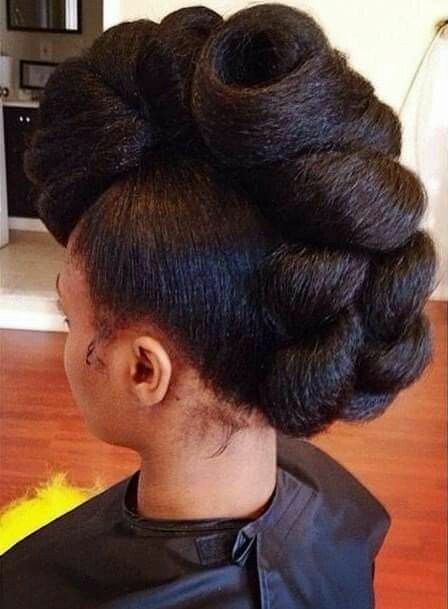 This regal updo combines a French roll in the back, a pompadour in the front, and flat twists along the hairline. A beaded headband and matching beads on the ends of the twists on the sides make this style fit for royalty. This chic style takes a simple frohawk to another level. The hair on the sides of the head is braided into cornrows and the ends are wrapped into bantu knots. 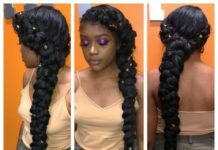 It’s a style that is sure to turn heads. Another gorgeous frohawk style that is created by taking small sections of hair and pinning them into small buns down the center of the head. 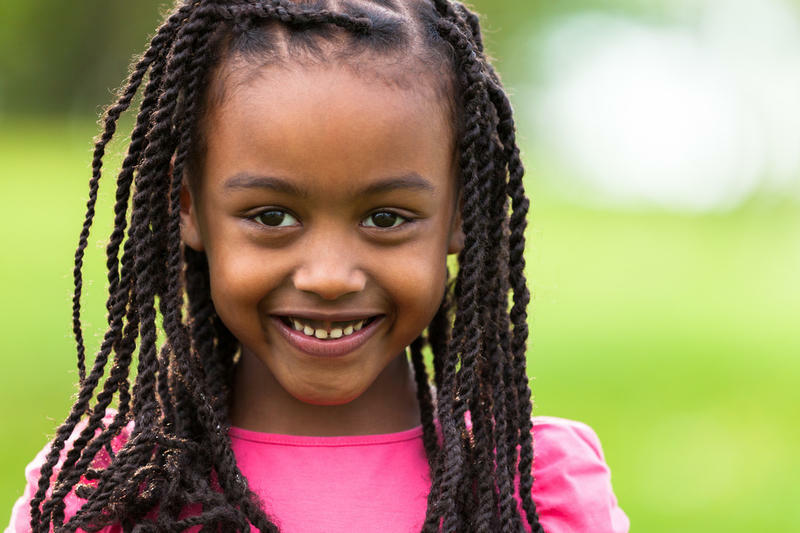 This cute style is perfect for kids and adults alike. You don’t have to have super long hair to rock a cute updo. 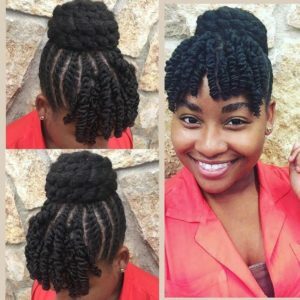 This super cute style combines flat twists on one side of the head with finger coils that hang over to one side for a cute side-swept look. This style is a variation of the popular half up half down hairstyle. 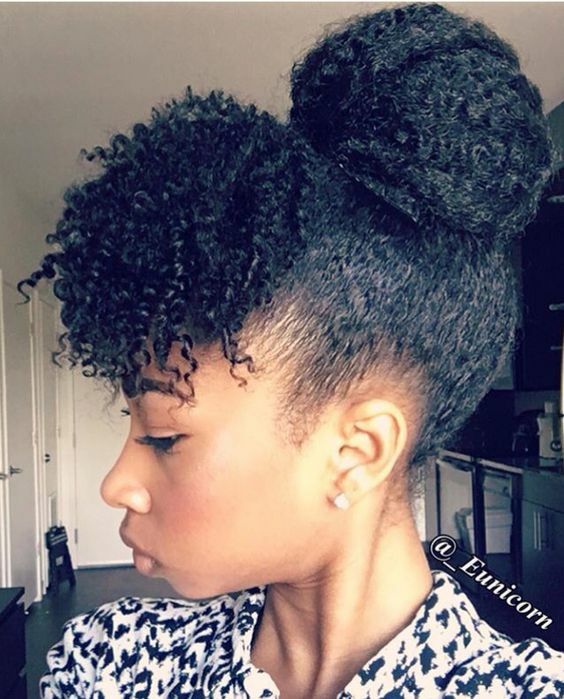 The hair in front is pulled up into a high bun. 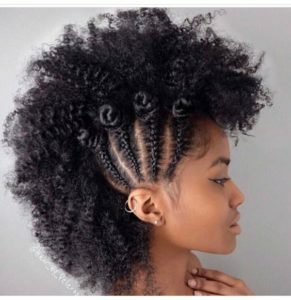 The remaining hair in the back is pinned into a cute curly frohawk. 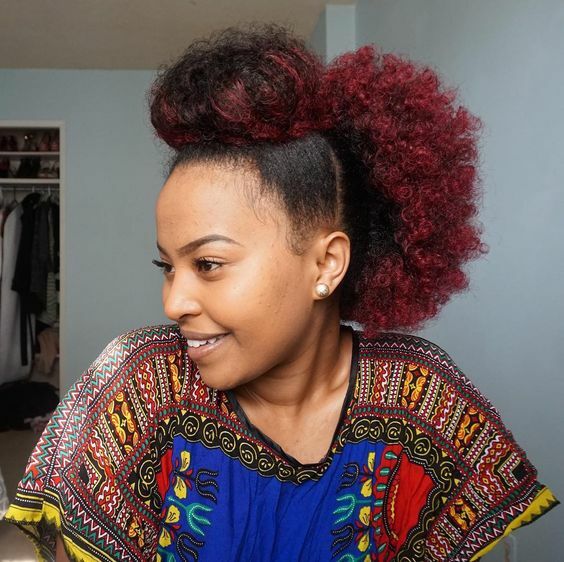 Adding a pop of color, like this gorgeous red ombre, is a surefire way to add flair to this look! This simple but cute style is perfect for any occasion. The hair is pulled up into a high bun. 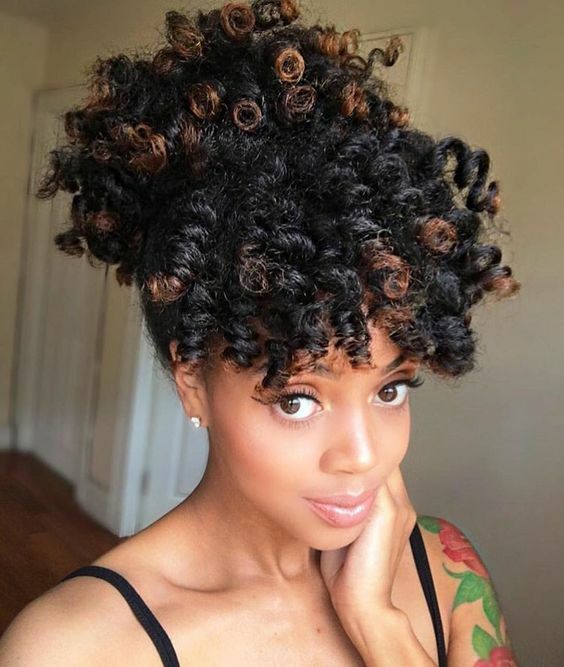 Some hair is left out in the front and styled into cute curly bangs. 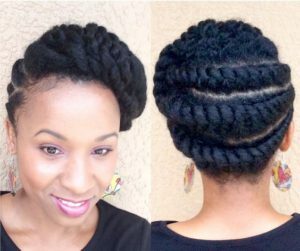 This is the perfect updo to try if you have locs. 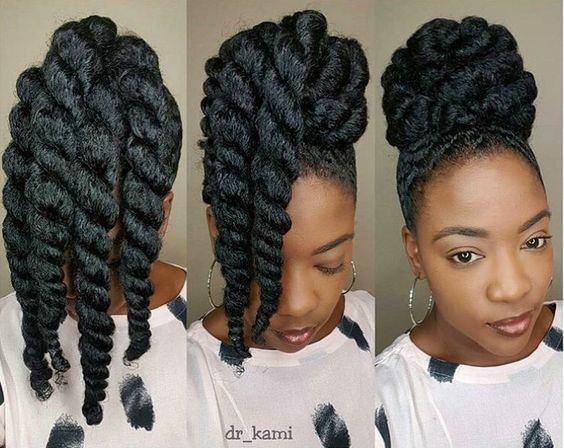 At first glance, it looks like the locs are styled into a simple high bun, but if you look closer, you’ll see that they’re actually wrapped into several small buns for a look that’s both chic and unique. 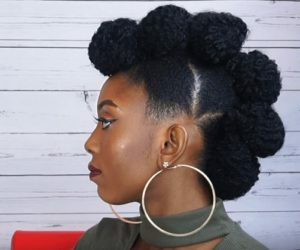 How many different ways are there to style a frohawk? Well, here’s one more. 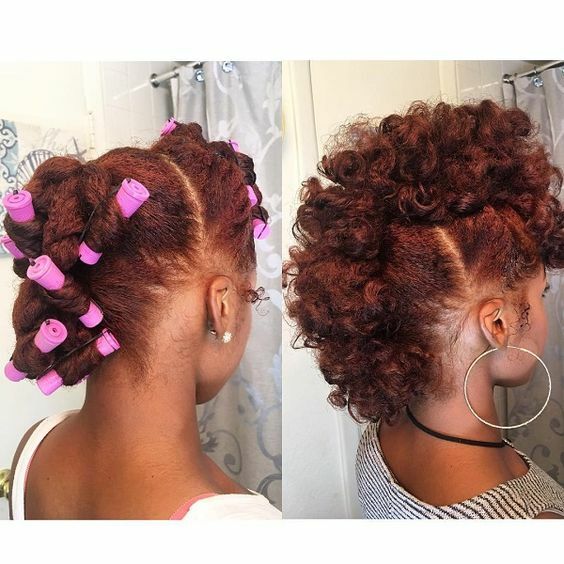 Perm rods are used to create this curly frohawk. Cute, and easy to do. Flat twists are the star of this beautiful updo. Three chunky flat twists in the front are contrasted with smaller flat twists along the sides and up the back of the head creating a unique updo that works for any occasion. 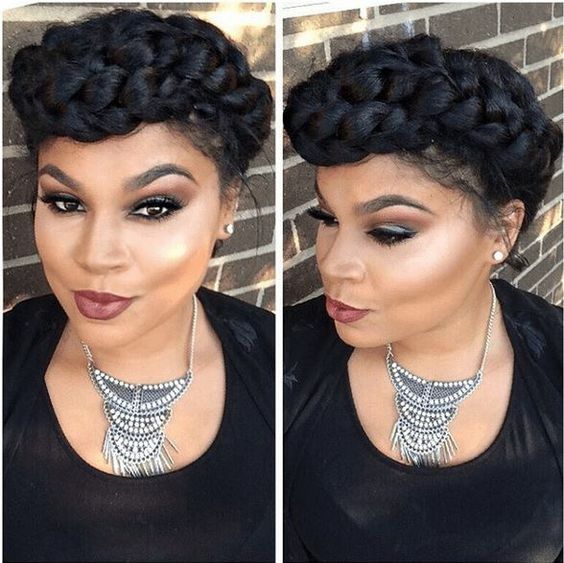 Halo braids create a beautiful, timeless look that’s truly the perfect style for any occasion. This classy style can be dressed up or down and is great for a night out or a day at the office. 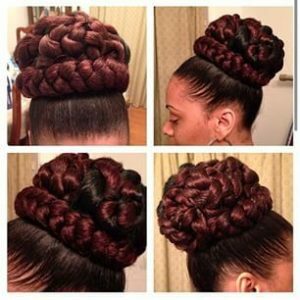 This reddish braided high bun works perfectly as a prom or wedding hairstyle. It can be created with or without added braiding hair, making it an ideal protective style as well. Two flat twists intertwine to add a touch of elegance to a simple high puff. This style is fun and easy to create. 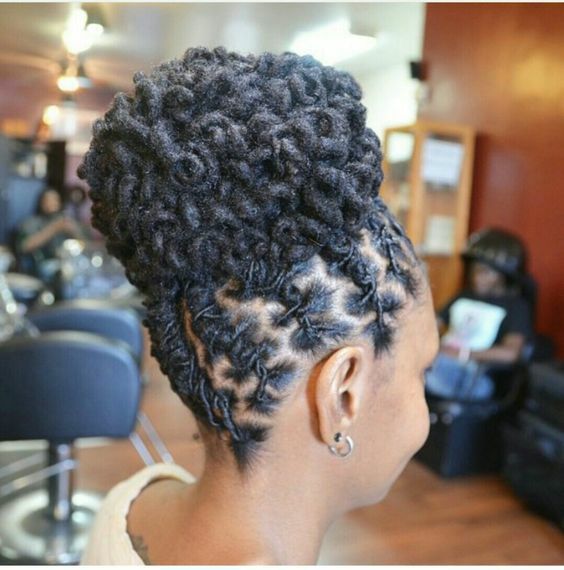 Loose two strand twists are bobby pinned around the head, creating a halo effect in this beautiful elegant updo. A few loose tendrils and some hair jewelry help give this style an ethereal look. 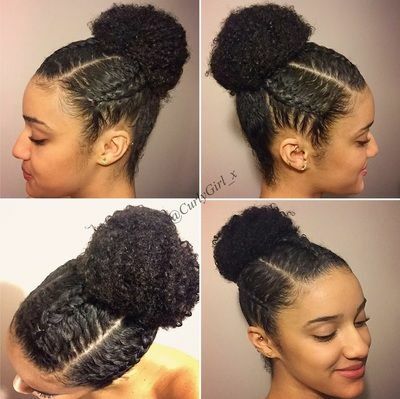 The high bun is a classic style that never gets old. 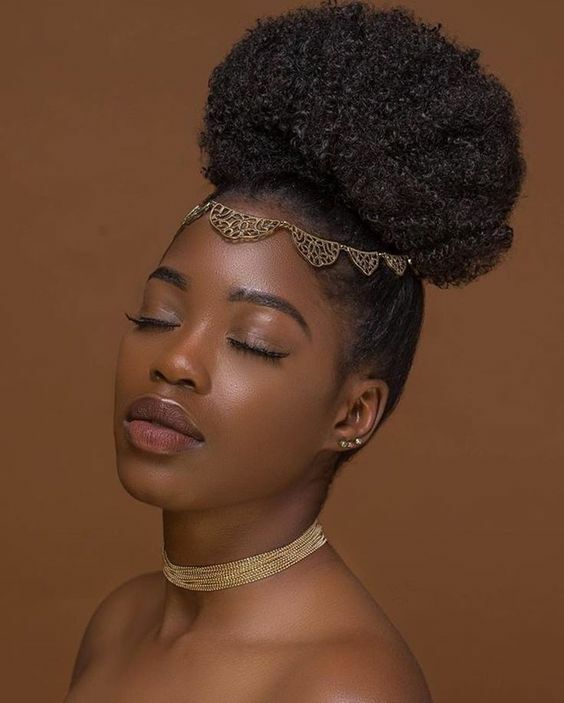 It’s amazing how a little hair jewelry (like the kind pictured here) can give this simple style such an elegant, regal look. For this style, the locs are flat twisted up towards the crown of the head. 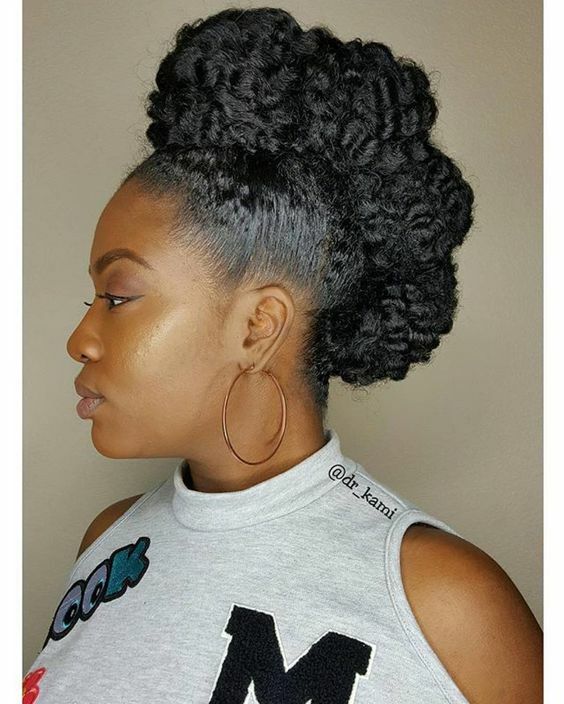 The ends of the locs are then intricately pinned into a flawless high bun. More of a “downdo” than an updo, this gorgeous style is the perfect wedding day hairstyle. 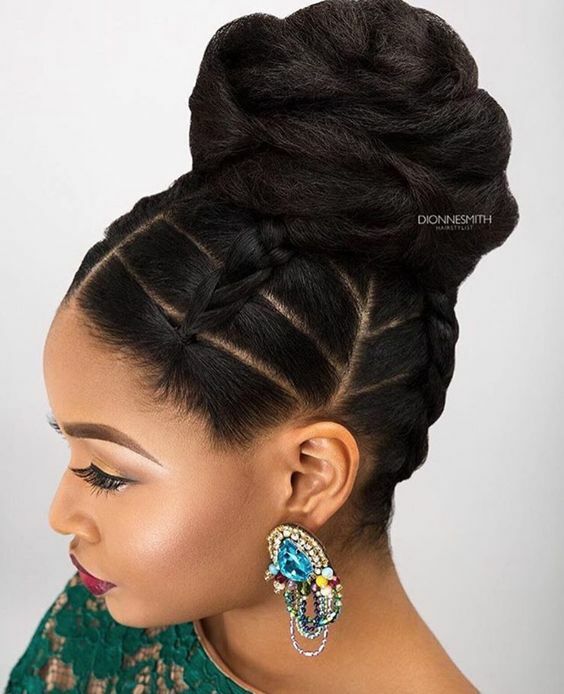 A twist on standard halo braids, loose flat twists along the sides and straight down the back of the head are folded over one another at the base of the neck to create the perfect bridal style. 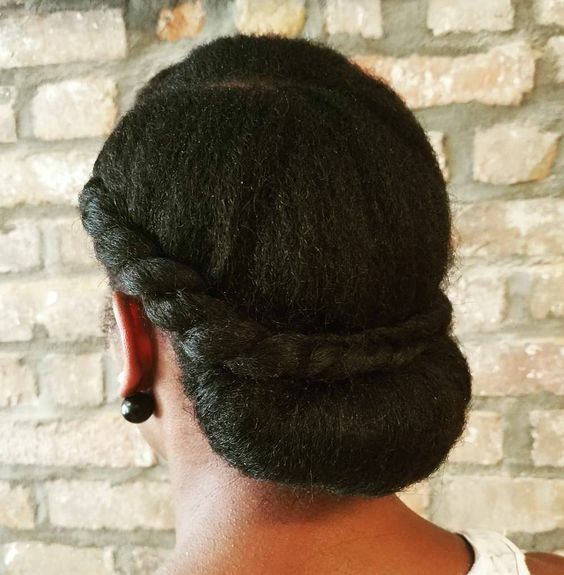 This classic chignon on stretched natural hair is timeless, simple, and beautiful. 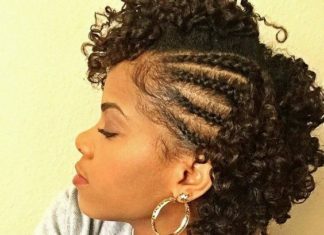 Two strand twists add a bit of texture and detail along the sides and the back. 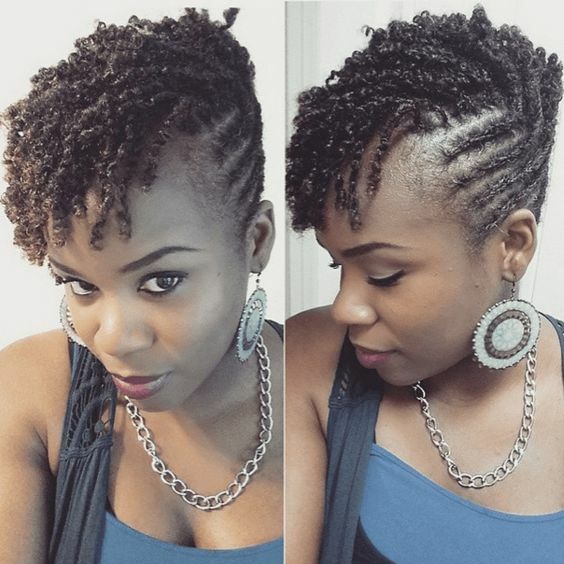 This pretty style is composed of neat flat twists in the back and a pompadour in the front. 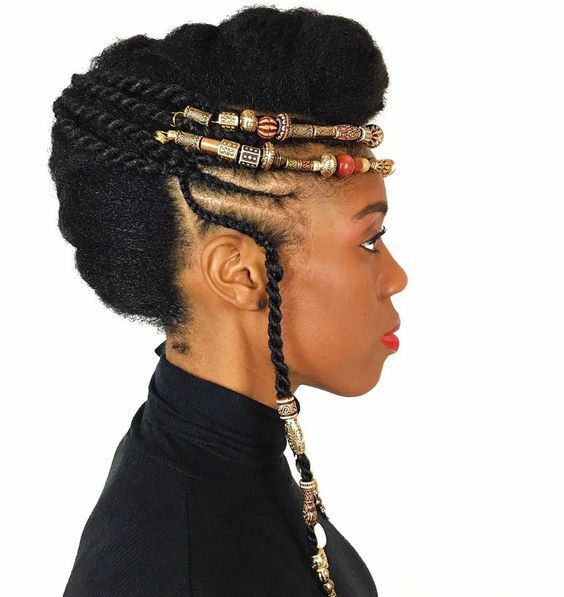 The pompadour can be created with your natural hair or with Marley braiding hair for a fun, funky protective style. 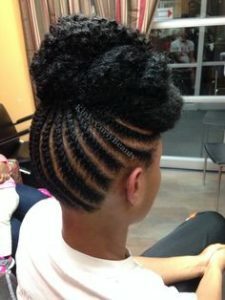 For this style, the hair in the front is split into two sections then criss-crossed over one another. The hair is then pulled up into a simple high bun. 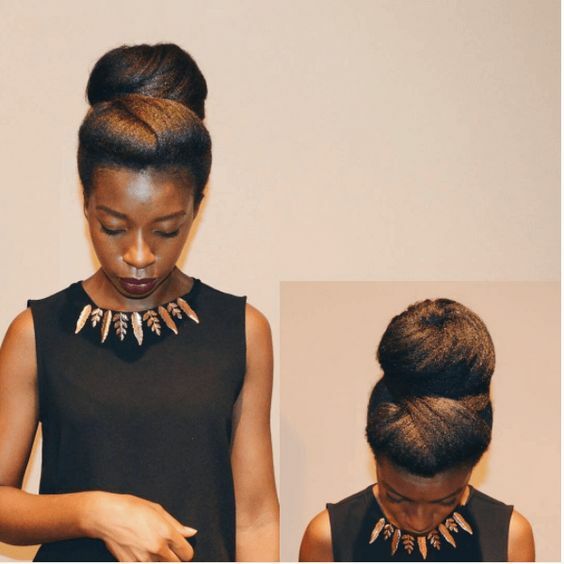 This a great, easy way to modify the classic high bun. 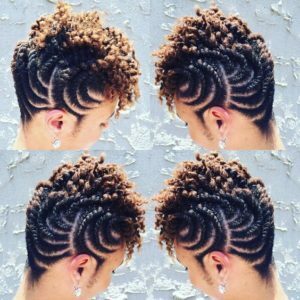 For this style, the hair is flat twisted in an intricate pattern. 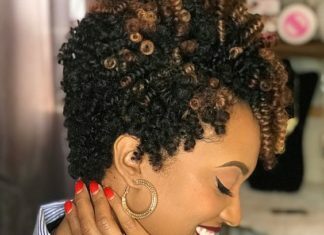 The ends of the twists are then unraveled to create curls. This style is the perfect updo for short hair: chic and versatile. In this style, the hair is flat twisted up into a braided high bun. Two strand twists create bangs in the front for the ultimate protective style. 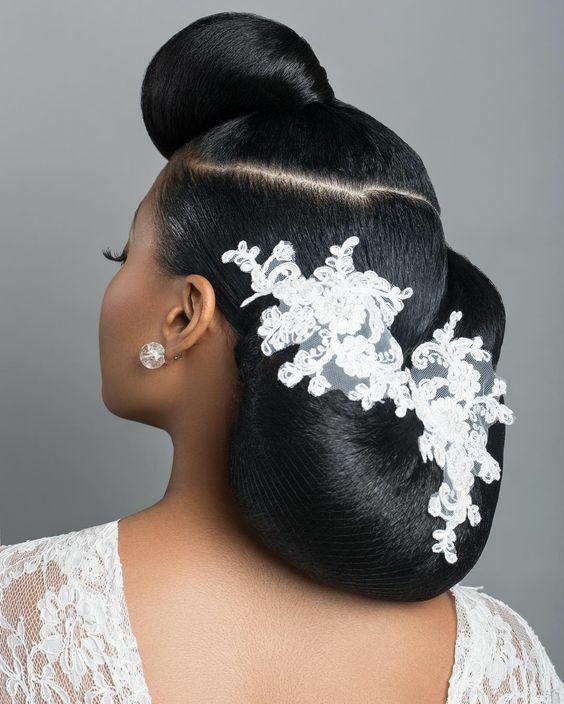 This style is an ideal choice for a wedding or prom and it’s sure to be a showstopper. The hair is blow dried for a sleek look and then braided, curled and pinned down the center of the head. 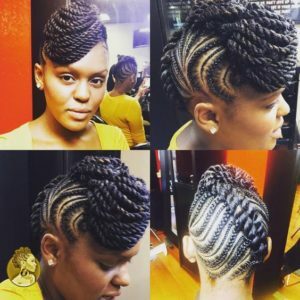 Flat twists are styled into an intricate design in this style. The remaining hair is then pinned into an elegant high bun that’s great for a special occasion or just an everyday look. A pretty flower is the perfect accessory to dress up a simple updo, like this curly frohawk. This is a great style for any summer event. 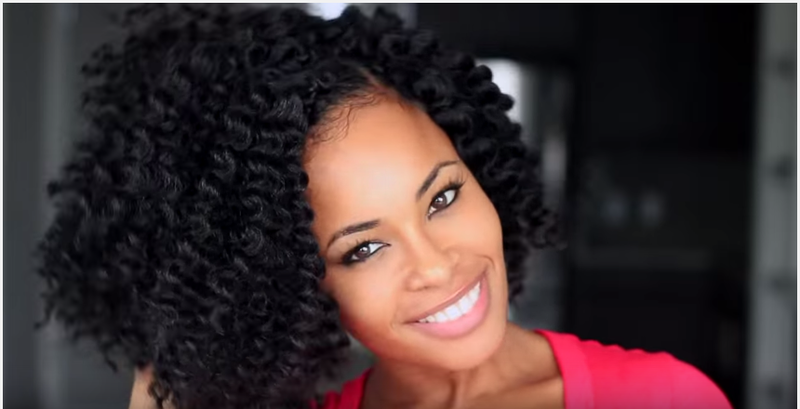 You can use perm rods to achieve this gorgeous style. Just pull your curls up into a high curly puff and leave some out in the front to create bangs. This bouncy style can easily go from day to night. 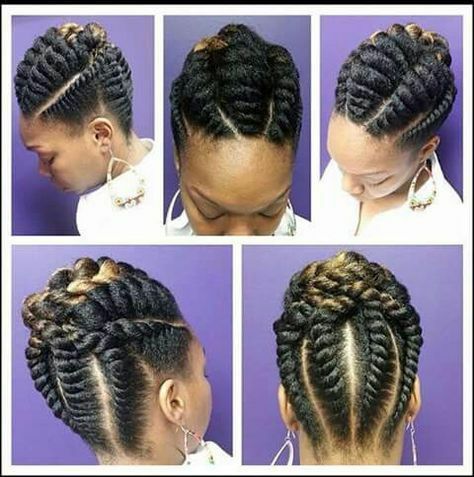 For this twist style do’, flat twists up the back and along the sides of the head meet near the crown of the head. The remaining hair falls towards the front of the head in a cascade of loose curls. 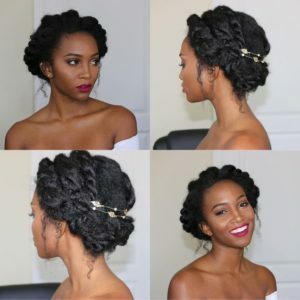 In this style, thin, neat flat twists up the back of the head add detail to a simple, sleek high bun. This updo is casual enough for everyday wear but chic enough for special occasions. This simple but beautiful style is easy to recreate by pulling the hair into a high ponytail, then twisting the hair into four chunky two strand twists. 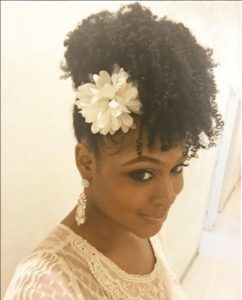 Then just pin the twists into a cute textured bun like the one pictured here. 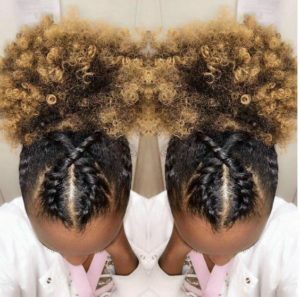 A combination of precise parts and intricate braiding create a unique look that gives the simple high bun a run for its money. 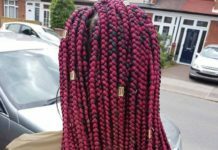 This style is sure to stand out in a crowd. This take on the frohawk is an ideal protective style because it keeps your ends tucked away. It also allows your natural texture to shine. 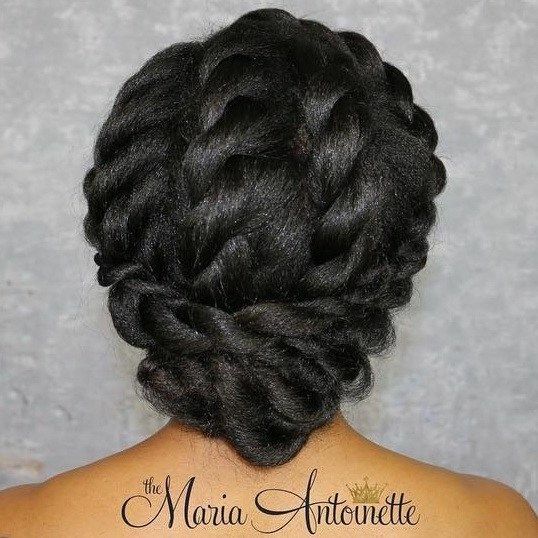 Three cornrows add a touch of detail to this classic ballerina bun, making this the perfect style for dance class or a night out. This beautiful sleek style is done on straightened natural hair. An elegant chignon in the back and a cone-shaped bun in the front make this style truly unique. A lacy hair accessory adds an extra touch of sophistication to this gorgeous hairstyle. 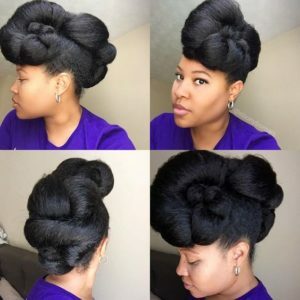 A lot of rolling, tucking, and pinning went into creating this beautiful updo. The finished product is an elegant style that’s just right for any special occasion.